As mandated by state law, all Illinois teachers must become certified by meeting the standards of the state Department of Education through obtaining the proper education, training, and experience. Illinois recently streamlined its credentialing process for teachers. If approved, you will not need to hold a temporary initial or provisional license. You will instead be granted the more all-encompassing Professional Educator License. Step 1 Enroll in a Teacher Education Program. Education is an important prerequisite to becoming a teacher. Without the appropriate academic instruction, you will miss out on learning key concepts and techniques that all educators are expected to know. To teach in Illinois, you must pass a state-approved teacher training program and have at least a bachelor’s degree. Most teaching degree programs at Illinois schools include the necessary teacher preparation training as a part of their curriculum. This means that in most cases, you won’t need to seek an outside training program. Don’t worry if you went to school somewhere else, though. Illinois is known to be quite accommodating to out of state graduates, and recognizes most degree programs from accredited schools throughout the U.S. Step 2 Take the necessary examinations. In order to demonstrate your ability to properly use the concepts you’ve studied, you will be asked to sit for a series of examinations before you can be considered eligible to apply for your teaching certificate. 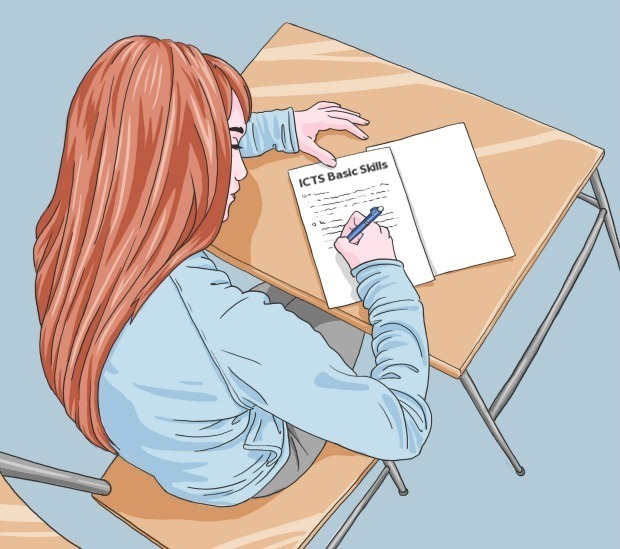 The first exam you must pass is a basic skills assessment, called the ICTS Basic Skills Exam that will measure proficiency in math, writing, grammar, and reading comprehension. This is a fundamental stepping stone toward certification and all Illinois teaching candidates must pass this exam. In addition to the basic skills test, you will be expected to take the ICTS Content Area Exam to demonstrate your specific knowledge in the field of elementary education. You can take more than one content area exam if you wish to add any additional subject area endorsements to your license. The tests are to be taken independently of one another, and you are responsible for scheduling (and showing up for) each. To get started, you will have to create an account through the Illinois Licensure Testing System (ILTS). After that, you will be able to register for testing (and will be granted access to lots of helpful resources). When you sign up for a test date, ILTS will send you an admission ticket – which you’ll need to print out. You must present this ticket at the testing center when you arrive or you won’t be able to go in. You will also need to bring a valid form of I.D. The tests are timed. You can leave early if you finish before the allotted time is up, but you cannot have extra time. Testing sites have strict rules to minimize distraction and to maintain the integrity of the examination process. Make sure to read and follow all test site rules or you could lose your opportunity to sit for the exam. ILTS Preparation Materials page where you can access study guides, helpful hints, and even practice tests. Step 3 Get the required Experience. You will be given a chance to apply the concepts you’ve studied firsthand by fulfilling the state’s experience requirements as a student teacher. 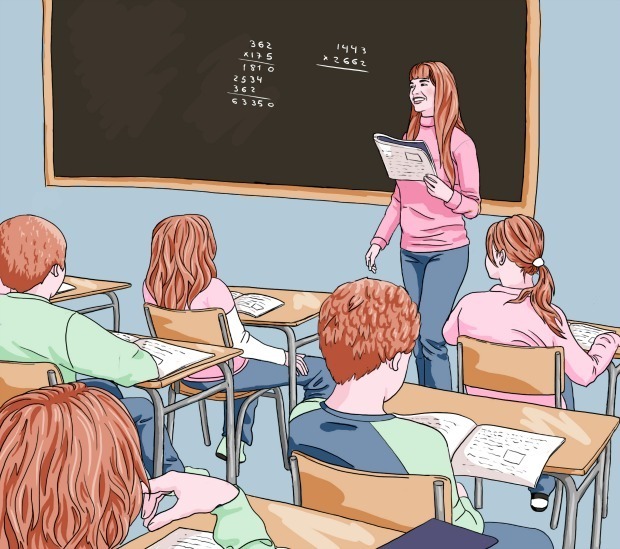 Sitting in a classroom as a student is one thing, but stepping into the teacher role yourself is quite another. Doing the latter will help you to gain confidence and insight that cannot be realized through instruction alone. Your internship will be facilitated by your teacher training program. You’ll be placed in a classroom that closely matches your preferred age group and/or subject area. Your supervising teacher will serve as a mentor and guide as you interact with the students and perform various duties like creating lesson plans and leading class discussions, among other things. The exact duration of your internship may vary depending on your training program, but expect to spend 100 hours or more working in the same classroom. To maximize the benefits of your student teaching experience, keep an open dialogue with your supervising teacher. Be sure to jot down any questions that come to mind during class so you can ask about them later. This is your opportunity to learn everything you can about the day-to-day realities and responsibilities of being an elementary school teacher. Try to keep a good attitude, even if you feel overwhelmed. Give yourself time to adjust. You may feel nervous the first time (or several times) you are asked to lead the class or design a lesson, but trust that you have received the training you need to handle anything that comes your way. Completion of your internship will show future employers that you understand what it takes to create a successful learning environment for children. You’ll be able to use your ELIS login information track the status of your application once you’ve submitted it. If you completed your training program in Illinois, the fee is $75. For those who received their training out of state, it is $150. You must pay the fee online using a credit or debit card at the time of application. 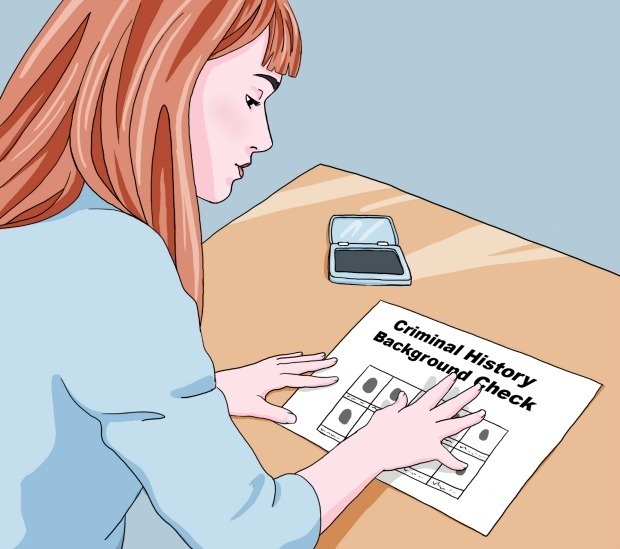 Step 5 Get a criminal history background check. Illinois does not require that you pass a background check in order to seek certification. However, it is mandatory for schools to conduct a pre-employment background check, so you will have to submit to a fingerprint-based state and federal background check before you can work as a teacher in Illinois. You will be given instructions regarding where to obtain your background check by the hiring school. You will have to pay for your own background check (consult the Illinois State Police website for a complete fee schedule). During a background check, your name and fingerprints will be run against a national database to search for any past criminal convictions or other information that could compromise your ability to provide a safe and healthy environment for children.